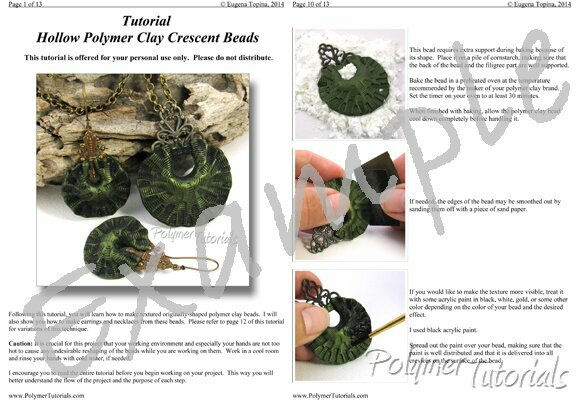 Follow this step-by-step tutorial to learn how to make hollow crescent-shaped beads out of polymer clay and metal filigree. This project is easy enough for beginners, but it also provides lots of space for the creativity of more advanced clayers. Complete list of tools needed to finish this project.